Brett Douglas Hunter is a self-taught artist living and working in Nashville, Tennessee. Originally from Illinois, he comes from a family of self-propelled artists and builders, seemingly destined to be a maker from the beginning. 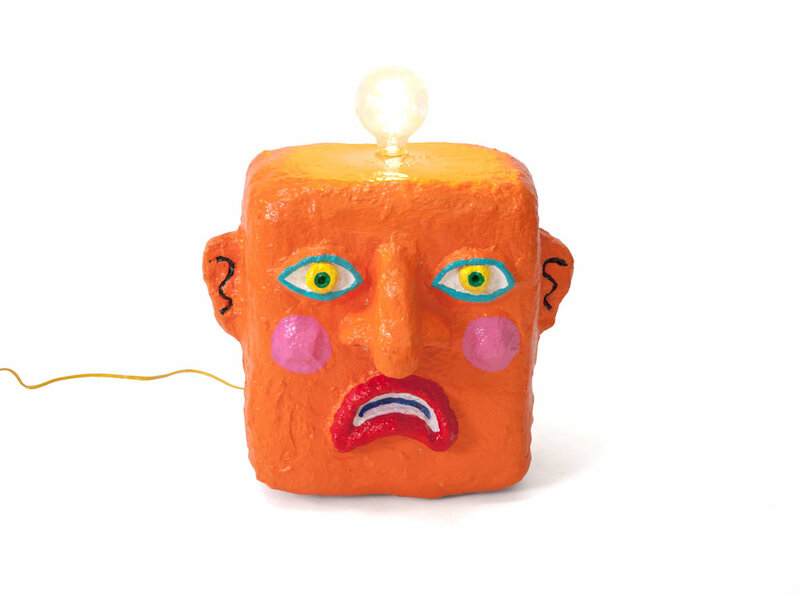 After several years of supporting himself making and selling folky plywood paintings and creations, he dove head-first into the world of sculpture, making weird and wonderful creatures using a fibrous cement mixture. Regarding his latest foray into sculptural furniture, Brett says, "Many members of my family are skilled craftsmen and builders. When I was young, my mom used to get yard sale/thrift store chairs and paint them up all crazy and sell them. My uncle, Randy Shull, has made countless pieces of amazing furniture and used the chair as a symbol in many pieces of art. 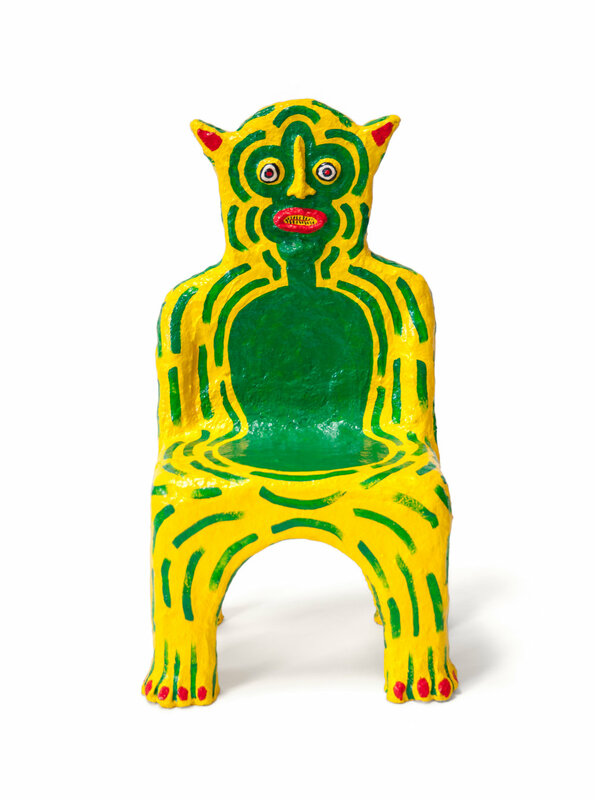 My grandparents collected folk art, and have a few figurative chairs made by a folk artist from east Tennessee. I grew up around these things and they are a permanent part of my imagination. I've made a couple of chairs and wanted to dive in and explore the idea." 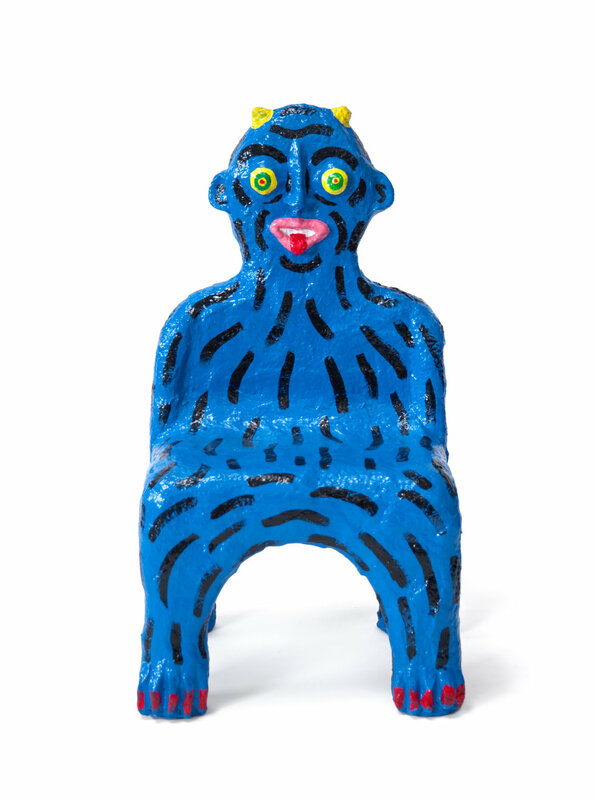 kinder MODERN is thrilled to present Brett's work, including fantastical kid-size creature chairs, lamps with faces, a polka-dot console and a wall-hung face sculpture.